We know our catering and kitchen deep cleaning really is second to none. It's because our clients have told us, and keep on telling us. We know how important it is to have satisfied customers and do all we can to exceed expectations. We tailor our service to your needs and budgets and schedule work to suit your service hours so there is no disruption to your business. We offer FREE quotations with guaranteed results that are above the standards required by the FSA and any visiting EHO. 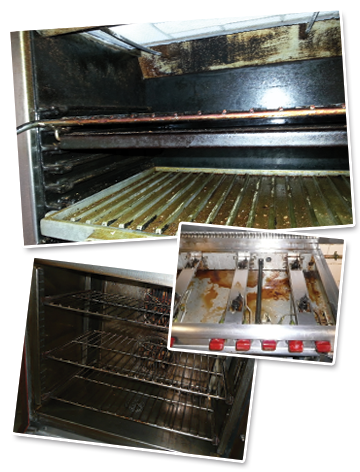 Why not call us and let us bring the shine back to your ovens, fryers, grills, walls, floors and more.